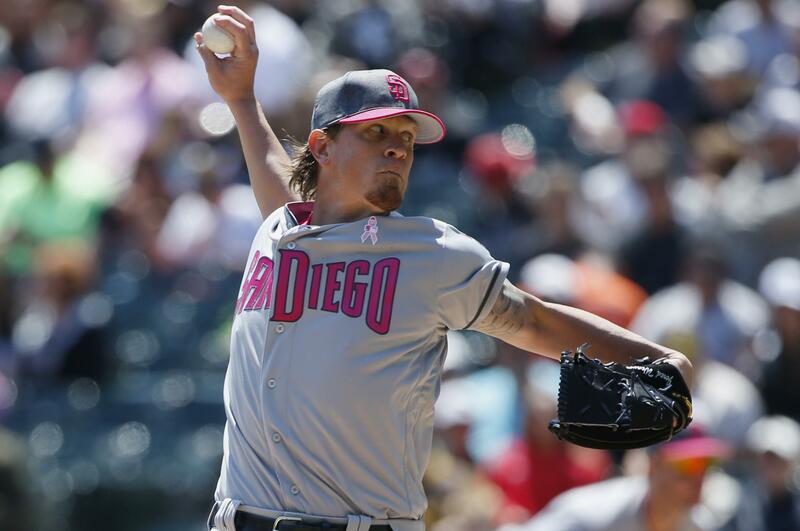 Wed., Aug. 16, 2017, 7:21 p.m.
SAN DIEGO – Padres right-hander Jered Weaver announced his retirement before San Diego played the Philadelphia Phillies on Wednesday. Weaver, a three-time All-Star, battled health issues since signing with the Padres in the offseason. The 12-year veteran, who spent the bulk of his career with the Los Angeles Angels, had a lifetime mark of 150-98 with a 3.63 ERA. In seven postseason appearances, he was 2-1 with a 2.60 ERA. Weaver (0-5, 7.44) struggled in his last start on May 19 against the Arizona Diamondbacks. He recorded two outs in surrendering seven runs and five hits. Published: Aug. 16, 2017, 7:21 p.m.